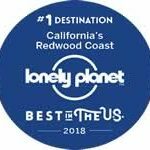 A bit south of Eureka, on the beautiful Redwood Coast, near where the Pacific Ocean and the coastal slopes snuggle up against the California Redwood Forests, discover the elegant Victorian Inn, located in the Victorian Village of Ferndale. Built of Humboldt County local redwoods in 1890, this Northern California Boutique Hotel combines historic accommodations with modern amenities for vacationers, tourists and business travelers alike. Relax in the unique, well-appointed guest rooms with vintage fixtures and furnishings, fourteen-foot ceilings and a private bath. We invite you to enjoy dining at the VI Restaurant, our convenient on-site eatery and tavern. Whether you are searching for a romantic getaway for just the two of you, taking a family vacation with the entire gang, or traveling on business and expanding your horizons, The Victorian Inn Boutique Hotel is honored to accommodate you. Banker Ira C. Russ, charmed by the area and with prominent family here, returned to Ferndale in 1890 and created this detailed monument. His magnificent tribute to luxury, comfort and craftsmanship is built entirely of native redwood and remains a historic and notable architectural testament of its time. One of the most photographed buildings in Northern California, the Inn embodies the elegance and romance of the timber boom era, as every room has a unique story to tell. Join us for this one-of-a-kind experience in the heart of the California Redwoods. From Main Street and Ocean Avenue, meander through the village with its great shops and restaurants or allow the Inn to be your starting point from which to venture out and enjoy the sun swept beaches, the magnificent redwoods or any of the many exceptional attractions this charming area has to offer. And at the end of the day, stroll “home” to your own special room at the Inn. We now offer Gift Certificates, click here! Owners Lowell Daniels and Jenny Oaks were seeking to relocate their highly successful fine jewelry business from the gold country of Sutter Creek, where it had flourished for 18 years, to a coastal area with a cooler climate. 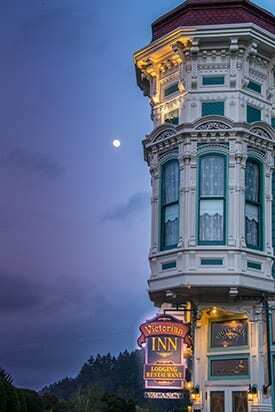 On a trip to Humboldt County, they encountered the enchanting village of Ferndale and Victorian Inn. 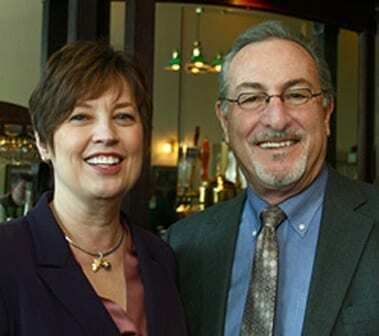 They immediately fell in love with the area and purchased the Russ Building in January 1999. The jewelry store is named after Lowell’s grandfather, Joseph Rose Silva, whose family emigrated from the Portuguese Azore Islands. Lowell’s grandmother’s family were also Azorean immigrants. Although born here in California, Lowell treasures his Portuguese heritage. An original portrait of his grandfather overlooks the beautiful settings of the store. Lowell is a graduate gemologist and a certified gemologist appraiser. He has spent several years obtaining his formal education from the Gemological Institute of America. He holds the highest title achievable in the jewelry industry, that of Certified Gemologist Appraiser, from the American Gem Society (AGS). He has a following of regular clients from across the U.S. Lowell’s buying trips around the world have allowed him to collect rare gemstones, unique original designs and many, many friends and fans over the years. Lowell is active in leadership positions with the Humboldt County Convention and Visitor’s Bureau, the Humboldt Lodging Alliance, and the council of the California Association of Boutique Breakfast Inns. Jenny is also a student of gemology and her style, insight and grace make selecting a special piece of jewelry a memorable experience. The store specializes in custom designs and repairs. The jewelry business at this level is a creative, rather romantic endeavor. It’s a labor of love where customers become friends. Lowell and Jenny feel blessed to become part of the romance in people’s lives, and a part of their celebrations. Hold your next meeting, conference or corporate retreat at the Victorian Inn. On-site, fully-equipped banquet and meeting facilities are available for your next important event. We stayed here for 2 nights on a road trip from San Fransisco to Seattle. We picked it based on reviews and we were not disappointed. Ferndale is a charming small well preserved victorian town. The Victorian Inn is the jewel in the crown. Perfectly charming staff, and the buzziest bar in town, a nice restaurant with an old fashioned feel, lots of space between tables and really a tasty, filling breakfast. a great place to stay. The history of the building is great and they have kept so much of the original features. Its like stepping back in time….the entire town is like this. would stay there again, and recommend it to any one. The Victorian inn is a very pleasant little guesthouse in a period building right on the main street of Ferndale. It feels family run and all the staff worked hard to make sure we were happy. The interior has been sympathetically restored in period style (though with modern bathrooms for clients convenience), and are clean and well maintained. This is a beautiful property. We were immediately greeted when we walked in the door and the manager (possibly owner?) was very friendly and thorough in checking us in, directing us to our rooms, and offering assistance with our luggage. We enjoyed the onsite restaurant for dinner and the next morning’s breakfast. Dinner was very good!